Shopping for DC Comics Stickers? Decorate your car with superheroes from DC Comics! 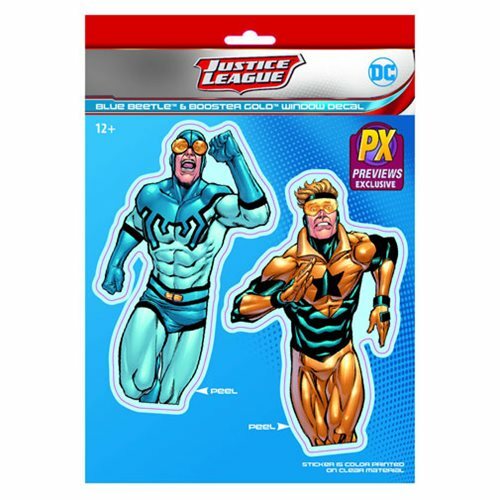 This Previews Exclusive Vinyl Decal set features Booster Gold and Blue Beetle as drawn by Kevin Maguire. This decal can be used on most surfaces safely and measures about 5 1/2-inches tall x 4-inches wide.